U City signs an agreement to acquire a pan-European hotel platform in a transaction valued at more than THB 12,300 million. U City Public Company Limited (U City) continues its strategic expansion into Europe, by signing an agreement to acquire a pan-European hotel portfolio, along with a hotel management company and associated brands in a deal worth approximately EUR 330 mn or THB 12,300 mn. Upon completion, which is expected by 31 July 2017, U City’s hospitality business will expand considerably and diversify geographically across a further 9 European countries. The acquisition is through a 100% held Austrian acquisition company (AcquiCo) to acquire Vienna International Hotel Management AG (“Vienna House”) and 8 hotels in Central and Eastern Europe from Austrian- and Polish-listed property developer Warimpex Finanz- und Beteiligungs AG (Warimpex). The acquisition comprises a portfolio of 24 hotels in the form of freehold, finance lease and operating lease hotels totaling over 4,100 keys. 16 hotels are under Vienna House located in cities and towns across Germany. 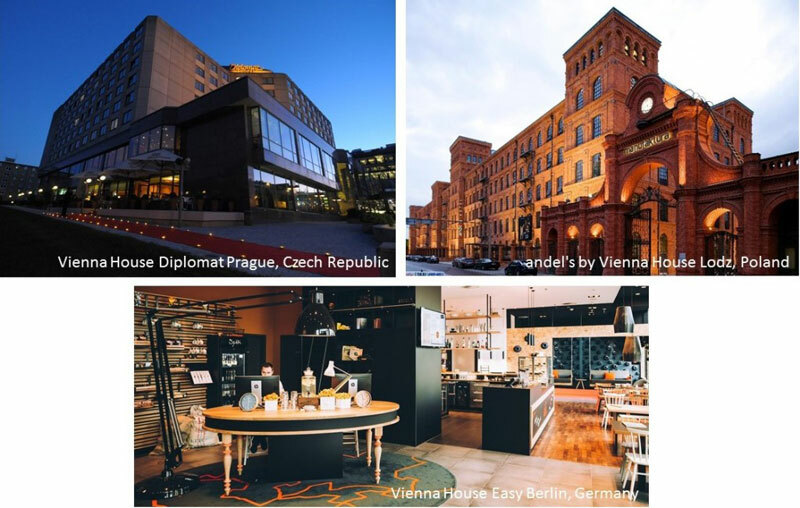 8 hotels from Warimpex are located in cities and towns in Czech Republic, Poland and Romania. In addition, the transaction includes a management platform which operates these 24 hotels plus an additional 12 third party hotels (together totaling over 6,700 keys) located in cities and towns in Austria, Belarus, Czech Republic, France, Germany, Russia and Slovakia. U City will be financing the transaction with a combination of new loans from financial institutions and existing cash. For 2017, U City expects AcquiCo to have consolidated revenue of approximately EUR 115 mn (THB 4,300 mn) and EBITDA of approximately EUR 26.0 mn (THB 970 mn). The AcquiCo is expected to see earnings CAGR of 20% over the next 4 years. The deal is subject to anti-trust review and other conditions precedent which are expected to be concluded within 31 July 2017.